Today's card has the main focus on the sentiment which is an old Stampendous stamp that I have had for many years but still love. This has had little gem stars added. (Finally found a use for those teeny weeny ones). The background has been heat embossed with holographic powder so that it sparkles, love that technique. The butterfly has been punched out of sparkly card and gems added. 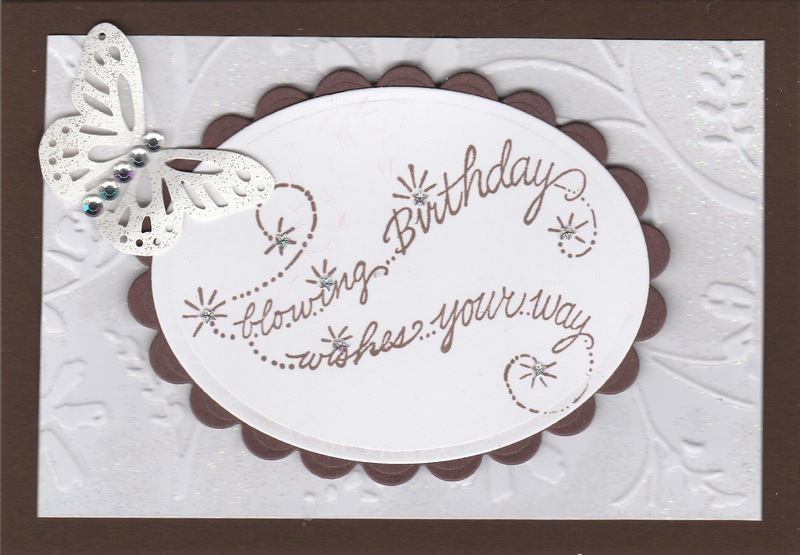 What a sweet card Christine... lovely texture! That sentiment is gorgeous! Love the idea of a sparkly background too. Striking and fabulous texture with a very elegant design. Sorry to be so late commenting, what a super texture card Christine!